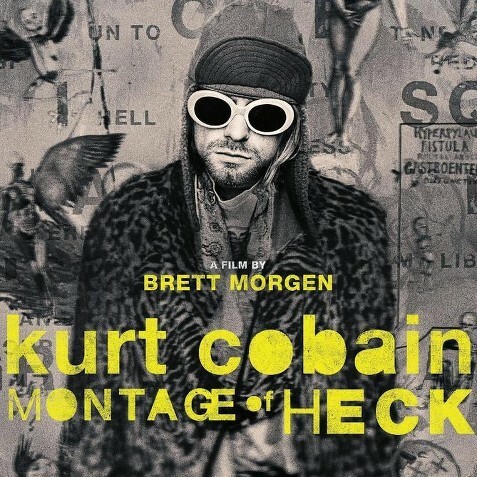 The subtitle of Kurt Cobain: Montage of Heck comes from the handwritten label on a cassette that was part of a collection of recordings, notebooks and art that filmmaker Brett Morgen had access to for this extraordinary documentary. It’s a wonderfully appropriate title for a film that succeeds on many levels. It’s a profile of one of the most important artists of the late 20th century. It’s an experimental film that weaves together original animation with media artifacts, new interviews, audio montage, concert footage and home videos. It’s an immersive exploration of the artistic psyche and how it confronts adversity. Seeing the film presented by Morgen at the True/False Film Fest, I also came to see it as gift to a child who lost her father and whose life was a media spectacle before she was even born. 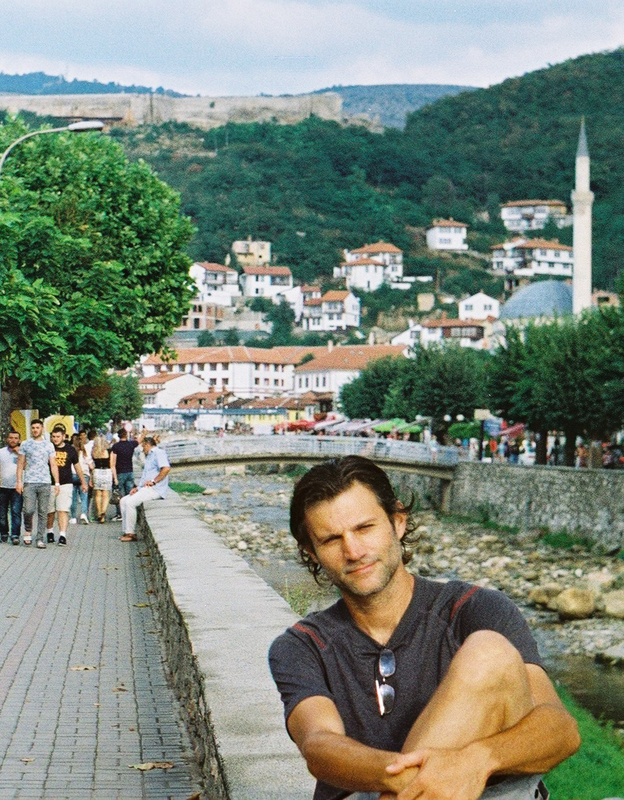 When Morgen introduced the film, he used words like “honor” and “privilege” as he described how he was approached by the Cobain family to make a film and given full access to a large collection of unpublished material that had been put in storage after Cobain’s suicide, as well as compete creative control. Then he said that he’d asked the projectionist to pump up the sound system for that day’s midday screening, and that if it got too loud for you, you could just leave. It was loud, and not just in terms of volume. This is a truly a montage of heck, and it opens with loud, distorted sounds and in-your-face smash-cuts of images and ephemera. The majority of the film is drawn directly from the unique collection of material, but Morgen is not satisfied just to present the content of this goldmine in a traditional way. This is not Ken Burns’ Jazz, not 20 Feet From Stardom, not evenSearching for Sugar Man. Nor should it be. It is clear from the opening frames that this is a true attempt to get inside the mind of a brilliant but troubled artist who left an indelible mark on our culture during his short life. Like Nirvana’s music, Montage of Heck is not intensity at the expense of artistry, meaning or significance. Morgen uses interviews with key family members and personal friends to coax a coherent narrative from the details of Cobain’s life.It is clear from the opening frames that this is a true attempt to get inside the mind of a brilliant but troubled artist. His difficult childhood, preternatural talent and meteoric rise to fame are all there, and structured in a simple chronology that neatly counterbalances the film’s experimental elements. What emerges is an extremely nuanced portrait that allows us to observe Cobain through various kinds of archival footage, hear from those closest to him, and get an interpretation of his own thoughts and emotions through the journals and drawings that are brought to life with animation. The final act of the film focuses on Cobain’s descent into drug addiction, his marriage to Courtney Love and the public controversy around the circumstances of the birth of their child, Frances Bean Cobain. Morgen does not pull punches here; it is difficult to watch drug addicts deteriorate, and much worse when a child enters the picture. At the same time, Morgen’s compassion and sensitivity to the material mean that we never stop seeing Cobain’s kindness, vulnerability and need for acceptance. Toward the end of the film, Love says, “We definitely would have had more kids. That’s all Kurt ever wanted was to have a family.” It’s a poignant and ambiguous moment that cuts a number of different ways. Kurt Cobain: Montage of Heck is a film of great artistic integrity. It’s a wickedly complex, finely detailed and deeply human work by a filmmaker with the chops to pull it off and the life experience to nail the deeper themes. Indelible moments, like this screening, are what film festivals are all about and True/False in particular has made its name by inciting them. While I’m glad that HBO supports innovative work, I can’t help but wish more Americans would have the opportunity to see this film in conditions closer to how I experienced it: on a big screen with the volume cranked and invitation to leave if you don’t like it.